Wisconsin Gov. 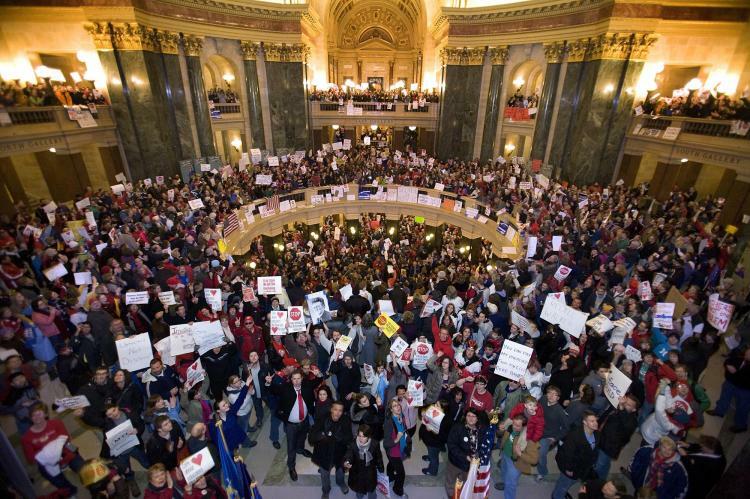 Scott Walker’s bill to restrict public employee unions exempted law enforcement personnel. But evidently not all police officers go along with this bid to split them from their fellow workers. Here’s a press release from the Wisconsin Professional Police Association, the police union, from last Friday. MADISON – Following action by lawmakers to approve a rule change that clears the way for closing down the State Capitol and ejecting the people protesting Governor Walker’s bill to curtail union activity, the head of the Wisconsin Professional Police Association called on the governor today to keep the capitol building open and allow the peaceful protesters to remain. The law enforcement officers from across the state that have been working at the Capitol and have been very impressed with how peaceful everyone has been, said WPPA Executive Director Jim Palmer. As has been reported in the media, the protesters are cleaning up after themselves and have not caused any problems. The fact of that matter is that Wisconsin’s law enforcement community opposes Governor Walker’s effort to eliminate most union activity in this state, and we implore him to not do anything to increase the risk to officers and the public. The costs of providing security can never outweigh those associated with a conflict. Law enforcement officers know the difference between right and wrong, and Governor Walker’s attempt to eliminate the collective voice of Wisconsin’s devoted public employees is wrong, continued Palmer. That is why we have stood with our fellow employees each day and why we will be sleeping among them tonight. Reward the good teachers, and get rid of the bad ones. When I look back on the teachers I had in grade school, in high school and in college, there are some for whom I still feel gratitude, others I hardly remember, and at least one I have bad feelings about. I think anybody who in their lives encounters a teacher like Mrs. Vance, Mr. Hershman, Mr. Grove or one of my other best teachers is blessed. It would have been nice if they could have been rewarded monetarily as well as in the memories of their students, but I don’t think more money would have made them do better teachers. I can’t think of any metric by which their achievement could have been quantified by someone who didn’t know them. The thing I remember about my best teachers is that they liked their students and they loved teaching. They didn’t need external rewards and punishments to do a good job. I think the experience of most professional people who work for large institutions is the need to balance compliance with management with doing their real jobs. Colin Powell in his autobiography, My American Journey, referring to his career in the military, called this “giving the King his shilling.” I did the same balancing as a newspaper reporter, so did my mother as a school teacher, and so does my sister-in-law as a school teacher. A more powerful system of rewards and punishments will bring more compliance by teachers. Will it bring better teaching? I doubt it. Our drop-in discussion this morning at First Universalist Church was on the topic of “Saving the Schools.” Here are some thoughts I took away from the discussion. Almost any teacher can teach a student who is committed to learning. Few teachers can teach a student who is indifferent or resistant to learning. The best teachers that I and others remember from our own school days are the ones who got us interested in learning. Some students will commit to studying subjects they don’t care about in order to achieve some other goal – to pass a test in order to get into college in order to get a better job, to pass a test in order to get a high school diploma in order to be employable, to maintain a “C” average in order to be eligible for high school sports, to pass a course of no interest in order to be able to take an interesting course – and so on. The problem is not just poor black and Hispanic youth in big cities. We all know highly intelligent middle-class people, with college degrees, who never read a serious book. I am sometimes shocked at the ignorance of basic facts of history and geography of supposedly educated people. But then I am ignorant of things an earlier generation would have considered essential for an educated person to know – Latin, Greek and modern languages, higher mathematics, science above the grade-school level. The erosion of what it means to be educated has been going on for generations. I recall the science fiction writer William Gibson, lecturing in Rochester years ago in his languid Virginia accent, and saying you don’t need to be literate to function in today’s society, and literacy in the future may become a specialty, like computer programming. Anti-intellectualism has long been a part of American life. It is not just black youth who think studying is “acting white.” It is not just religious fundamentalists who think scientific knowledge is a threat to faith. In Mark Twain’s stories, we like Tom Sawyer and Huck Finn, who play hooky and shun book-learning, and despise Tom’s cousin Sid, who is the teacher’s pet. Those who teach tell me young people today are more familiar with media than they are with books. Students can’t be taught except through the use of media that are as compelling as commercial entertainment and advertising. I’ve been devoted all my life to reading printed books, so I don’t know what to make of this – whether it is a symptom of decline, or whether something may emerge that is as good as what came before, just different. Reading generates the capacity for linear thought; maybe the media give you something else, the ability to integrate disparate ideas simultaneously in a non-linear way – I don’t know. Someone in our group wisely said that discussion of American education today consists of blaming the teachers, blaming the students or blaming the parents – never of trying to figure out specific ways to make things better. Leaders want to stay in power. 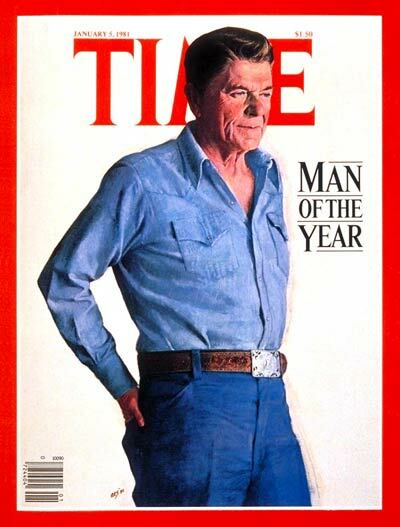 Ronald Reagan as President accomplished good things – negotiating peace, curbing inflation, deregulating oil prices. Unfortunately these things are not his legacy. Nor is his legacy the bad things done under his administration – the Iran-Contra conspiracy, the downward shift of the tax burden. More than his good and bad actions, his legacy is the bad memes he left to his followers – powerful assumptions and patterns of thought that influence his followers to this day. Here are examples of memes that Reagan fathered or fostered. The secret of prosperity is to reduce the top marginal income tax rate, no matter what that rate happens to be. If you cut taxes, spending will take care of itself. Common sense is a better guide to policy than science. A missile defense system is essential to national security. Budget considerations don’t matter where national security is concerned. Nothing you do to stop bad guys can be morally wrong. Poor people are poor because they are lazy and stupid. Government action to help poor people is theft from the middle class. The United States of America is the greatest country that ever existed. The United States was founded on capitalism. Criticism of capitalism is unpatriotic. There is a free-market solution to every problem. Giving a good performance is equivalent to doing a good job. True, Reagan’s memes were one thing and his actual policies were another. Click on De-mystifying the Reagan mystique for an analysis of the latter by Michael Kinsley for Politico. While Ronald Reagan the human being is dead and gone, and the effects of Reagan’s policies fade, his zombie memes live on. I just received the following e-mail from the Bradley Manning Support Network. PayPal just froze the account of the Bradley Manning Support Network, a group raising funds for the legal defense of alleged Wikileaks source Pfc. Bradley Manning. The group can no longer accept donations through PayPal, or access the money in its account. If I understand this e-mail correctly, PayPal is not only refusing to forward money to the Bradley Manning Support Network, it has denied the network access to its own money. Click on Bradley Manning’s “no touch” torture for background. [Update 3/1/11] I received an e-mail today from the Bradley Manning Advocacy Fund saying that PayPal, after receiving a petition signed by 18,000 people, unfroze Bradley Manning’s account and resumed processing donations. Having come from an extremely poor background – I lived well below the poverty line the first 22 years of my life – I found my education, and choices based on that education, afforded me the ability to provide for my kids in ways I’d only dreamt of as a child. I gained in college what I lacked in childhood, a broad and open-minded perspective on the world at large – this opened new doors for me that would have previously gone completely unnoticed. Opening those doors gave me the opportunity to find a kind of financial security I never knew possible in my youth. We have a house, a car, insurance on both and food in the cupboard. This was not the case for me for most of my life. Raised by a single mother who suffered a severe back injury at 24 years old and lived on less than $400 a month, I never once had all of those at the same time growing up; we always had to choose. We go without a lot now – we are by no means rich – and given the assault on the middle class (of which I am now a part), I wonder if that will remain a thing I can claim; but for now our necessities are covered, something I didn’t know was possible before becoming educated and watching my hard work produce results in improving my living situation. Last week in Wisconsin I saw a threat to that minor gain. I began to see the careful work of constructing my American dream unravel. My schooling, hard work and careful planning began to be torn apart in front of me. I saw my children’s future threatened. How can they get a good education if there is no one left to teach them well? How can they get a job if none are there that will meet and, dare I say it, potentially exceed their needs? I saw this and many other actions like it around the USA and how they threatened to dismantle the middle class and stick me and my family under the line again. But what could I do? I was disabled. I was at home. I couldn’t go to Madison, a two hour drive, in the middle of winter and protest. Particularly not with two small children in tow. I was truly heartened and deeply grateful for those protesting these actions but I felt impotent in my isolation. As my friends in Wisconsin began to converge in Madison I fed my Facebook feed with instructions and news articles letting people know where to meet and telling my worldwide friends list what was happening here. And then it happened: A 21 year old Egyptian took photos of himself during a protest in Egypt with a sign that read “Egypt supports Wisconsin Workers – One world, One pain”. Having followed Egypt’s growing tide of activism and the extraordinary actions of the Egyptian people in bringing a dictator down, seeing this image was like a shot of adrenaline to the heart. I cried. I could not believe that this kid, putting his life quite literally on the line for his brothers and sisters in Egypt, was supporting MY family, MY friends and MY people in their plight against oppression. I immediately contacted him through Facebook and thanked him with my whole heart. He friended me and I saw as hundreds of others in Wisconsin added him and thanked him deeply for his simple act of solidarity. I watched as the Huffington Post ran his story; I read as he asked his FB friends what he should do now that CNN had contacted him. I felt proud to be a part of this raising global awareness of our very HUMAN struggle for the right to choose our path and support the health of the global village. It was amazing. Then something unexpected happened. He blogged about the media attention he was getting, his feelings on it and his desires regarding the use of his images. It was hastily put passionately written but, English not being his first language, and writing being my main form of communication (and really my truest passion) I saw where it could be improved. So I took a chance and posted a couple of suggestions. What happened next kind of amazed me. He asked ME to rewrite it for him. I was stunned, and overcome. I did NOT expect this! I spent about an hour researching copyright law as a refresher and gave him a way to express his requests in the best possible way I could find. I gave him the words to voice his heart to the world. His response brought me to tears. In his grateful reply he could not even continue in English and thanked me over and over in Arabic. I was beyond moved. The implications of these exchanges have had me weeping for joy and in love with the world wide community that is waking up and rising to the challenge. I am gobsmacked that a 34 year old disabled mom of two from Wisconsin could so directly connect with, and support, a 21 year old Egyptian in his fight for freedom for all peoples, half a world apart. This is amazing to me. It flies in the face of those that say we cannot organize, that we cannot make a difference, that as individuals we have no contribution to make. Lies. All lies. We can do these things. We are doing these things. We are working together toward raising our human family above tyranny in a real and deeply felt way. Click on “Solidarity” for Katia Moanna’s complete statement. 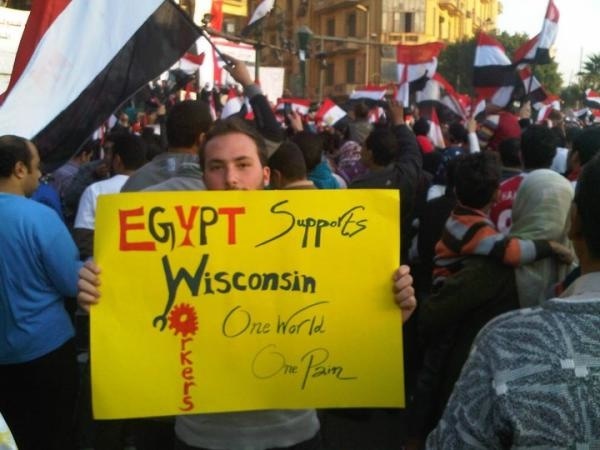 Click on From Tahrir to Wisconsin for the Egyptian student’s response. The worst thing the Reagan administration did was the Iran-Contra deal – secretly arranging the sale of arms to Iran in violation of the U.S. embargo to finance the operations of the Contra terrorists in Nicaragua in violation of U.S. law. President Richard M. Nixon is supposed to have said that if the President of the United States does something, it is not illegal. If that had been accepted, then the Constitution would have been “inoperative.” That’s why the Watergate investigation and impeachment were so important. It reaffirmed the principle that nobody, not even the President, is above the law. 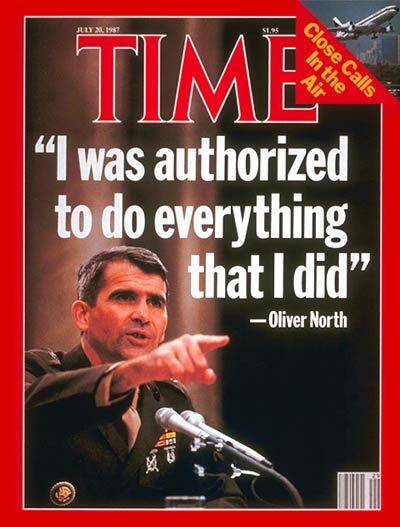 But the Iran-Contra affair, the acquittal of its major figures and the pardon of the rest (by President George H.W. Bush) reversed the verdict of Watergate. It showed that a President can put himself above the law and get away with it. Iran-Contra was a precedent for all the abuses of power that have occurred since, including authorization of torture by President George W. Bush and authorization of death warrants by President Obama. Click on The Iran-Contra Affair 20 Years On for a detailed review of its history. Click on Iran-Contra affair wiki for the Wikipedia article on the affair. A group of researchers at Kansas State University came up tongue-in-cheek with maps of the U.S. distribution of the Seven Deadly Sins. Their maps of Greed, Envy, Wrath, Sloth, Gluttony and Lust are shown above. The red parts of the maps are the most devilish; the green parts the most saintly. The seventh deadly sin is Pride, which they mapped as an overlay of these six. You can see the map of Pride if you click on one of the links below. Click on One Nation, Seven Sins for a report on the Kansas State study and links to larger versions of these maps in the Las Vegas Sun. Click on American Vice: Mapping the 7 Deadly Sins for a shorter article in Wired. 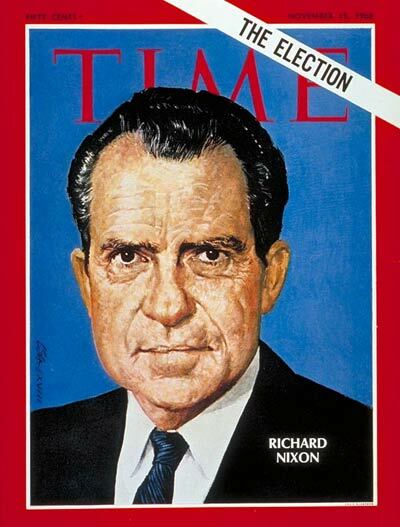 Richard M. Nixon was the one broke up the Democratic New Deal coalition and forged a Republican majority. But it was Ronald Reagan who forged a conservative Republican majority. Reagan made it respectable to be anti-union, anti-environmentalist and anti-government. He planted memes that continue to this day – that the secret of prosperity is to cut upper bracket taxes, that it is more important to cut taxes than balance the budget, that government as such is bad and should be resisted. He broke the air traffic controllers’ strike, ridiculed environmentalism and sought to abolish governmental regulation of prices. Nixon’s political achievement was to convince white working men that the Democratic leadership was more concerned with the kinds of people George Wallace called “the exotics” than with everyday average citizens. But he hesitated to touch the New Deal programs that benefited working people. Why was Reagan able to do what Nixon didn’t? Partly it was that Reagan was more of an idealist while Nixon was more of a pragmatist. Partly it was because corporate business was more politically assertive in 1980 than it had been in 1968. But I think the key factor was the Jimmy Carter administration coming as a transition between the two. President Carter, like President Obama, was a moderate conservative who was perceived as a liberal. Carter anticipated the Reagan agenda – cutting taxes on capital gains, setting in motion the deregulation of the trucking and airline industry – and so undercut the ability of Democrats to object to Reagan doing the same things. At the same time most people thought of Carter as a liberal, and his perceived failures discredited liberalism and validated conservatism. I don’t remember if it was Voltaire who said that having many different religious denominations was a good thing for a nation, and having just one religion was bad, but the worst thing was to have two. The religious diversity of the United States is one reason for our heritage of religious freedom. It would be too bad if our diverse religious traditions shook down to just two – religious political conservatives and religious political liberals. Part of our diversity is the freedom to be nonreligious, or to be religious in your own way without belonging to an organized group. Diversity helps safeguard that freedom. 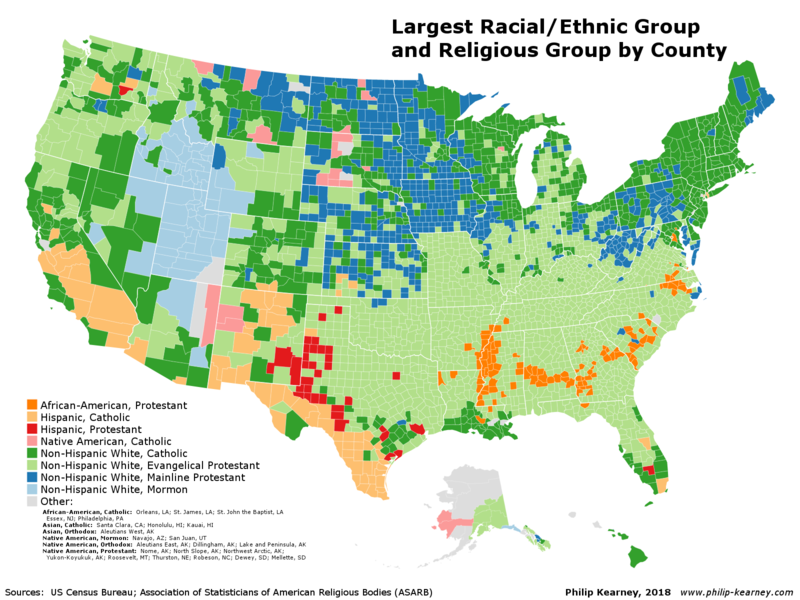 [Update 5/1/2018] Below is a map showing the interplay of religion and ethnicity. It’s based on more recent census data than the others. The distribution of mainline and evangelical Protestants is different from what I would have assumed, as is the large number of Hispanic Protestants. Click on Glenmary Research Center for the source of the information in these maps. Below are maps of the U.S. distribution of Christian denominations with high local concentrations, followed by maps of the U.S. distribution of Jews, Muslims and Unitarian Universalists. Only four U.S. religious groups have regional concentrations where they represent more than half the population – Roman Catholics, Southern Baptists, Lutherans and Latter-Day Saints (Mormons). Energy policy represented one of President Ronald Reagan’s best accomplishments and worst legacies. Under his administration, an unworkable price control and gasoline allocation system was abolished, and oil prices were left to the working of the free market. The free market worked the way it was supposed to work. Prices went up, demand went down, producers looked for new sources of oil, and the price went down and stayed down (in inflation-adjusted terms) for the next 20 or 25 years. President Jimmy Carter inherited gasoline price controls from the Nixon administration, and began a long-range phaseout. During the oil price shock of 1979, however, he clamped down on prices and instead imposed a gasoline allocation system based on previous use. This didn’t work. Restrictions on availability of gasoline changed the patterns of use. Too much gasoline was allocated to tourist destinations, for example, and too little elsewhere. There actually were gasoline riots. Reagan’s insight was that a market system of supply and demand works better than central planning would. Unfortunately he carried that insight to a counterproductive extreme – that once you unleash the free market to increase production, energy policy can safely be ignored. The Carter administration was the first to make a serious effort for energy conservation and energy independence (sometimes acting under authority of laws enacted during the Ford and Nixon administrations). Fuel efficiency standards for automobiles were increased. Incentives were provided for insulating buildings. An ambitious research program on solar and other alternative energy sources was launched. Large industrial companies such as Kodak and Xerox voluntarily launched their own energy conservation programs parallel to what the government was doing. We benefit from the accomplishments of the Carter era to this day. We would benefit even more if governmental policy had continued on the same trajectory. But Ronald Reagan planted the meme that conservation is unmanly, alternative energy is a fad and the supply of oil will take care of itself. That’s a meme we’re going to have to get rid of. My friend Ted Lechman and I like to take part in discussion groups. In this guest post Ted and his friend Alden Thomas Poehner raise questions about what helps and hinders the effectiveness of a discussion group – especially a small hermeneutic group, such as a Bible study group, which is devoted to the study of a particular text. Both Ted and I hope for comments. The following ideas have been rendered from ongoing discussions about the process of discussion groups. This is an ongoing meta-discussion that has been going on since the beginning and is constantly evolving. The purpose of this note is (1) to force me to express them as precisely as possible, and (2) to allow others to contribute to this meta discussion. To bring out into the open that which has up to now, been fairly unspoken of but endured. It is not meant to serve as a handbook or legal document, but as a provocation to force further discussion and consensus building. It would be a mistake of the first order to treat this text as authoritative – but yet this text IS representative. This document is being updated continuously. The format of the discussion group that is the focus of this note is a small, leaderless discussion group consisting of from a minimum of 3 up to a maximum of 6 or slightly more. (Much above this number and a more structured format as well as a more active leader, if not lecturer, is required.) It is also assumed that the purpose of the group is the close reading of a particular and difficult text as a hermeneutic circle. Thus it is assumed that there exists a text that has ideas that need to be uncovered. A number of process issues have been identified that hinder the hermeneutic process, not only preventing the disclosure of the meaning of the text, distorting that meaning, or even blocking the path towards the possibility of meaning, but also causing unexpressed but enduring resentments which may be very disruptive. Many inexperienced people seem to be comfortable speaking 50% of the time. This works well in a 2 person discussion, but with a wider group, as is common in hermeneutic circle or a book discussion group, this may justifiably be called “Bogarting the Logos”. This is a simple matter of common courtesy. 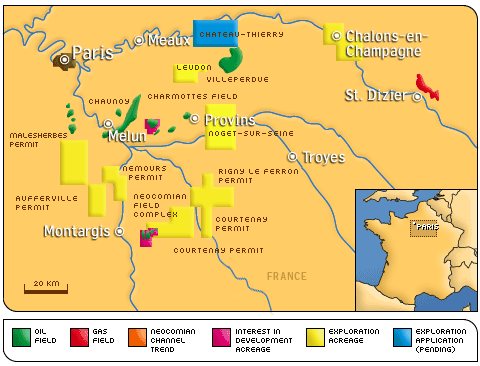 The French government is considering allowing hydraulic fracturing for shale oil in a geological formation called the Paris Basin, an 87,000-square-mile agricultural region east of the city of Paris. Environmental groups in France as just as opposed to hydrofracking as environmental groups here in upstate New York. A report by the French government is due out in mid-April. Click on Why oil firms eye bucolic France for an article by Anita Elash in the Christian Science Monitor. Click on Hunting French sale oil for an update by Reuters. Click on Hydrofracking and carbon caps for my earlier post on the hydrofracking controversy in upstate New York, which includes charts and videos explaining what hydraulic fracturing is and how it works. Click on Hydraulic fracturing wiki for Wikipedia’s explanation and background information. I grew up in the 1940s and came of age in the 1950s. My economic behavior and attitudes were shaped by my parents’ memories of the Great Depression of the 1930s. My guess is that the behavior and attitudes of most Americans younger than 50s is the Great Inflation of the 1970s, when the Consumer Price Index rose more than 10 percent almost every year, peaking out at 15 percent in 1980. Inflation turned all the rules of rational behavior upside down. People who saved their money saw the value of their savings dwindle down to nearly nothing (the stock market was virtually flat during that decade) while those who borrowed money and spent it were the prudent ones. President Nixon stopped inflation temporarily by imposing wage and price controls, but this did not get at the root of the problem. President Gerald Ford tried an ineffective voluntary program called WIN – Whip Inflation Now. President Jimmy Carter appointed Paul Volcker at chair of the Federal Reserve Board, and Volcker acted to stop inflation in the only way he knew how – by choking off the growth of the U.S. money supply. 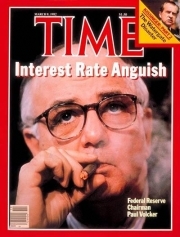 Volcker’s action choked off the availability of credit. Many small businesses, which depend on credit, went broke. A recession began in which unemployment went into double digits. President Carter supported Volcker. He did not try to reverse the Federal Reserve’s policies, nor did he distance himself, even though this cost him whatever chance he may have had to be re-elected. President Reagan did the same, even though the recession put his re-election at risk. On this question both Carter and Reagan were patriots who did what they thought was necessary for the public good even when it was to their political disadvantage. The recession came to an end, and the CPI has been low ever since. This was a good achievement, but as in other Reagan administration policies, it generated bad memes. One meme is that you can act in the interests of bankers against workers and small-business owners and not pay a political price. Another is that fighting inflation, even when inflation is as low as it is now, is the overriding goal to which economic growth, employment and everything else must be subordinated. Legislation is now pending before the House of Representatives to change the charter of the Federal Reserve from the dual mission of promoting low inflation and economic growth to low inflation only. Click on Stagflation wiki for the Wikipedia article on 1970s inflation and how economists explain it.Click on The Inflation of the 1970s for a 1995 presentation by Brad DeLong, an economist of the faculty of the University of California at Berkeley. DeLong thought one possible cause of the Great Inflation was simply that decision-makers were slow to give priority to inflation-fighting. Another was the failure of the Johnson and Nixon administrations to raise taxes to pay for the Vietnam war. A third explanation is the oil price shocks of 1973 and 1979 combined with similar less-publicized price shocks for other commodities.Political writer Kevin P. Phillips pointed out in 2008 that the formula for calculating the Consumer Price Index was changed under the administrations of Presidents Kennedy, Johnson, Nixon, Reagan, George H.W. Bush and Clinton. All the changes made the rate of inflation seem lower. This diminishes Reagan's achievement, but he was no worse than many of his predecessors and successors, and nobody who remembers that era doubts the important victory over inflation.Click on Numbers racket for Phillips' 2008 article in Harpers about manipulation of economic statistics. The above charts on changing methods of calculating inflation are based on information from a consulting economist named John Willliams. Click on Shadow Government Statistics for his web site. Click on Carter, Reagan and the Misery Index for more about the Great Inflation. Public employee unions set a bad example. At a time when wages and benefits of private-sector workers are being squeezed, and the numbers of the long-term unemployed are on the increase, some government workers still have relatively good benefits and a measure of job security. The question now before the American public is whether we demand jobs at decent wages for all Americans, or whether we want government workers to suffer the same squeeze and insecurity as everybody else. The Republican governor of Wisconsin is out to destroy the public employee unions in his state, as a test case for moving against public employee unions everywhere. Are public sector unions bad for government? Click on this interactive map to see which states require, allow or forbid collective bargaining by state employees. Click on this map to see which states are judged by the Pew Center on the States to have the most effective government. After viewing these maps, or even judging on the basis of what is commonly known about the different states, you’d find it argue that union-busting is the key to good government. In this shrewd and witty talk, British advertising man Rory Sutherland argued that advertising performs a valuable service in influencing people to pay top dollar for products without any particular value that can be measured objectively. He said that if intangible value increases human happiness, it is just as real as so-called objective value. He went on to say that it is better to generate intangible value through advertising than to try to increase objective value through human labor and consumption of natural resources. Sutherland presented interesting facts, interesting stories and interesting ideas. But if I had been present for his talk, I would have asked: Why do we need advertising agencies to give things intangible value? Why can’t we add intangible value for ourselves through our own creativity and imagination? Click on TED for more videos like this. Hat tip to Ezra Klein. Republican Warren G. Harding won 60.32 percent of the popular vote in the 1920 Presidential election, with a margin of victory over Democrat James M. Cox of 26.17 percent. 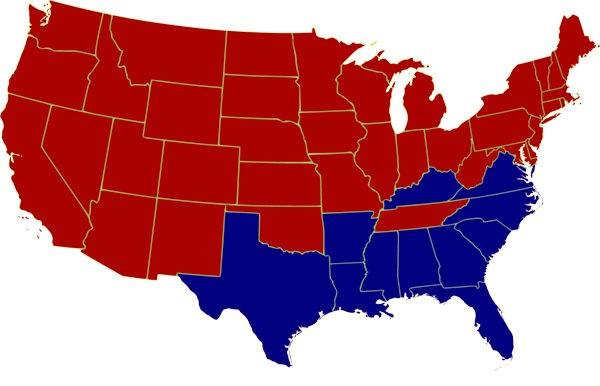 Harding swept the Northeast, Midwest and West, losing only the Democratic Solid South. Republicans were the normal U.S. majority party from 1900 through 1928. They won six of eight U.S. Presidential elections. Bruce Bartlett, a former senior policy analyst in the Reagan White House, posted this chart on his web log in order to make the point that Ronald Reagan as President was a pragmatist who was able to compromise without losing sight of his main goal. He is right about that, but I want to use the chart as a point of departure to make two further points. (1) Under the Reagan administration, the tax burden was shifted downward. The average blue-collar worker may have paid more in taxes in 1989 than in 1981. 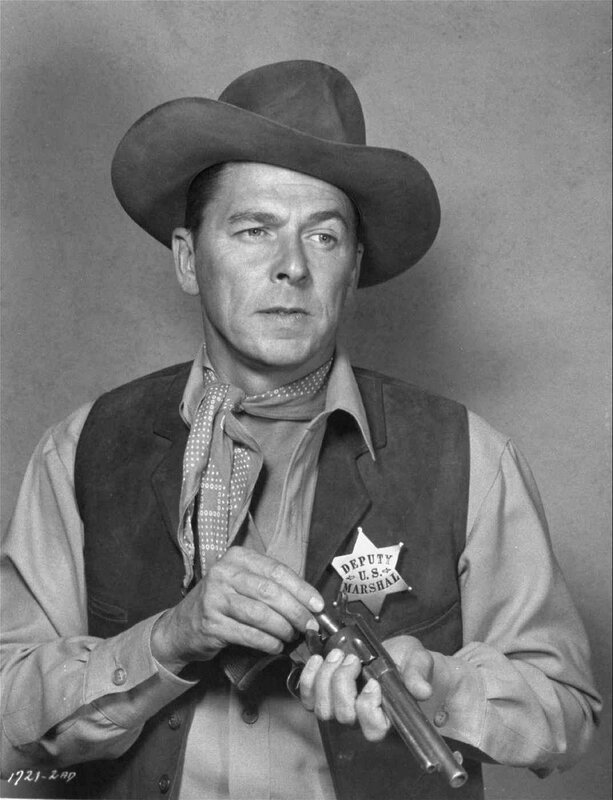 (2) Ronald Reagan did not govern the country all by himself. The so-called Reaganomics program could not have been enacted without the cooperation of the Democrats in Congress. Take the Economic Recovery Tax Act of 1981. This included not only President Reagan’s proposal to lower the top tax rate from 70 to 50 percent, but a Christmas tree of tax breaks and loopholes, mainly for the benefit of big corporations, that were added by the Democratic majority in Congress. President Reagan signed the whole mess into law rather than renounce his original plan. Under the Tax Reform Act of 1986, most of those tax breaks and loopholes were rescinded. The top tax rate was further reduced from 50 to 28 percent, while the tax rate for the lowest bracket was increased from 11 to 15 percent. The net result was a further small reduction in taxes overall, but that net figure masks the downward shift in the tax burden. Then there were the Social Security Amendments of 1983. 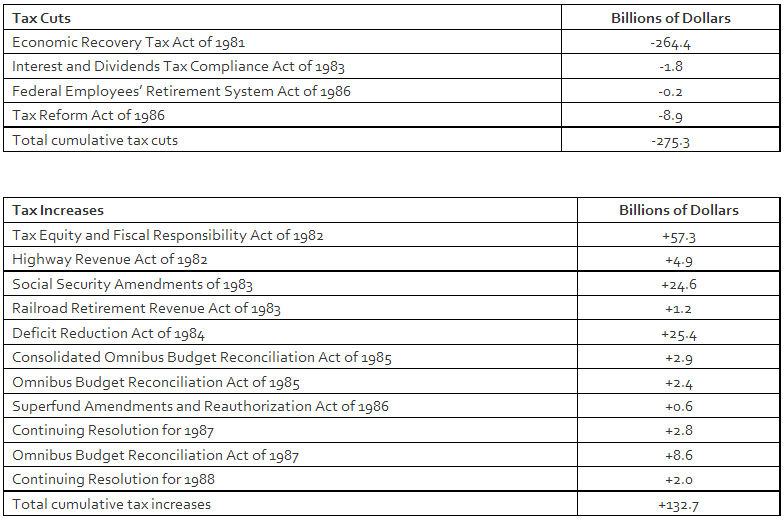 These amendments raised Social Security payroll taxes in gradual annual increments and gradually raised the age for full Social Security benefits from age 65 to 67. A majority of both Republicans and Democrats, in both houses of Congress, supported these amendments. The amendments achieved their purpose. They kept the Social Security Trust Fund solvent to this day and for decades into the future. But they also increased the tax burden on blue collar workers. Congress didn’t have to do that. If instead a bill had been passed raising the amount of income subject to Social Security taxes, the same goal could have been achieved by shifting the tax burden upward instead of downward. This didn’t happen. Bill Clinton, a tax raiser, did a better job of holding down spending than tax cutters such as Ronald Reagan and George W. Bush. It’s not hard to see why. When are you and I most likely to be careful about what we spend – when we’re putting our expenses on a credit card or when we’re paying out of pocket. Whatever the intent of the intent of the Reagan tax program, its result was to enable Republicans to replace Democrats in the role of Santa Claus. In earlier eras, Democrats proposed popular spending programs while Republicans grumbled about whether they were affordable. Since Reagan, Republicans have been proposing tax cuts and leaving the Democrats to grumble about whether they were affordable. Click on What people forget about Reagan for an CNN Money article about the Reagan administration’s record on taxing and spending, which is the source for the above graph. From about 1945 to about 1975, U.S. economic policy was influenced by the ideas of the British economist John Maynard Keynes. He said the key to economic prosperity was consumer demand for goods and services. As long as people are willing and able to buy things, it was thought, business owners and managers supposedly would find a way to provide them. In recessions, the job of government was to keep things on an even keel by providing unemployment compensation, engaging in public works, easing interest rates and whatever else it took to keep money in circulation. 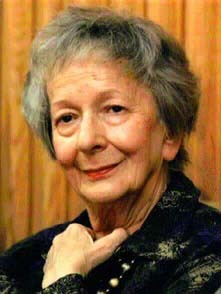 The Reagan administration based its policy on a new and opposing theory which was a radical departure from Keynesianism. The new theory was that savings and investment, not demand, were the key to prosperity. The new theory was that it is the “supply side,” not the “demand side,” that matters. And the key to the demand side is to lower the marginal tax rate – the additional tax you will pay if you increase your income another dollar. Suppose you are someone who is in the 95 percent tax bracket during the 1950s. Would you want to risk investing your money, knowing that all you would get back is 5 cents on the dollar? Would you strive to earn extra income, knowing all you could keep is 5 cents on the dollar? Or would you just want to sit back, enjoy yourself and spend your money on luxurious living? Along comes the Kennedy administration, and cuts the top bracket to 70 percent. The government loses very little in revenue, but it increases your return on investment, or on extra work, sixfold. So you, as a rich person, have six times more incentive to work and invest than you did before. In 1978, during the Carter administration, the top capital gains tax rate was cut from 70 percent to 28 percent. In 1981 and 1986, during the Reagan administration, the top personal income tax rate was cut in two steps from 7o percent to 28 percent. The upper-bracket earner got to keep 72 cents on the extra dollar rather than just 30 cents. This meant that the person could invest in something only half as profitable or twice as risky as before and still come out ahead. The logic of the theory said this should result in a surge in investment, and prosperity for all. This seemed plausible to a lot of people at the time. I myself thought it was worth a try. But in fact U.S. economic performance was no better when the top tax rate ranged from 28 to 39 percent than when it ranged from 70 to 95 percent. But when you stop and think about it, this should not have been surprising. Ronald Reagan’s crowning achievement as President was his masterly negotiation with Mikhail Gorbachev to bring about an end to the Cold War. He avoided pitfalls which most people in his place would have fallen into. 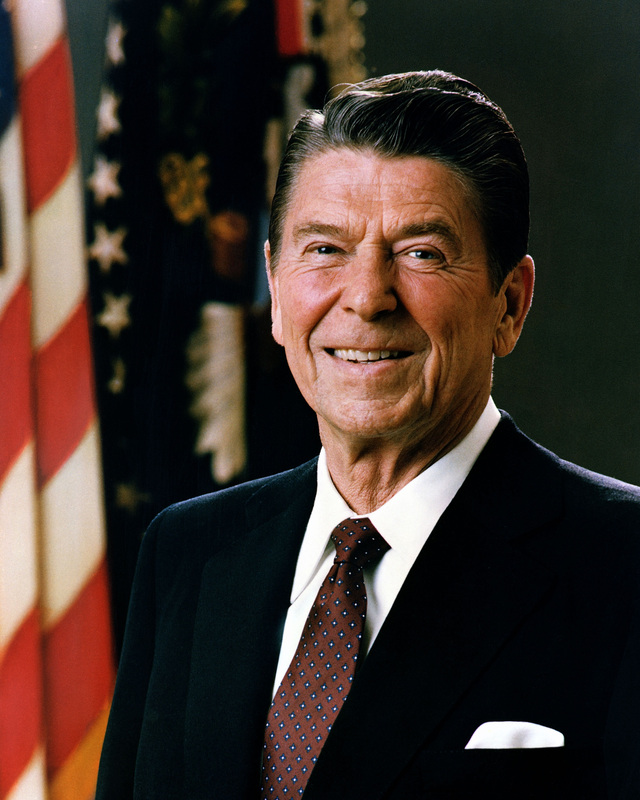 When negotiations began, Reagan demanded proof of Gorbachev’s sincerity; he did not simply accept Gorbachev’s proposals because the Soviet leader came to him with an olive branch. But once Gorbachev showed that he really wanted peace, Reagan was willing to grant it. He defied criticism from the militaristic wing of his own party. Moreover, in his negotiations with Gorbachev, Reagan somehow kept the confidence of the anti-Communists of eastern Europe. 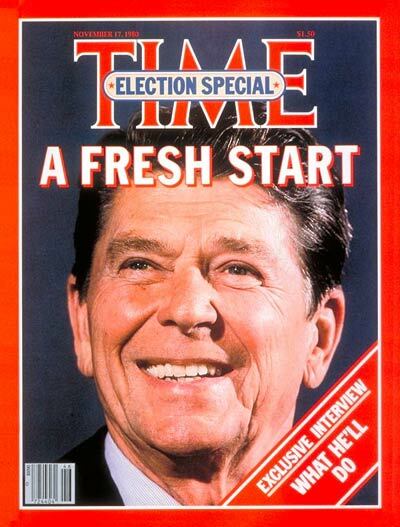 Nobody doubted that Reagan still thought of the Soviet Union as an evil empire (which it was). The Solidarity movement in Poland never thought Reagan abandoned them. Nor had he. This took considerable skill. I’m not sure anybody else could have done it. Reagan’s present-day admirers say he brought the Soviet Union to its knees through his commitment to the unworkable Star Wars missile defense program. Supposedly Gorbachev realized that the Soviet Union could never afford to pay for a counter program, and so gave up. Gorbachev himself has denied this was ever a factor in his calculations; this seems believable, because the Star Wars threat was bluff. The Reagan policy that did most to undermine Soviet Communism was very different. It was the U.S. government’s arming of the mujahideen fighers with advanced weapons, including Stinger anti-aircraft missiles. Gorbachev’s image in the West is that of a benign liberal democrat, but he unleashed the Red Army to wage war against the population of Afghanistan on scale and with a brutality unequaled by anything U.S. forces did in Vietnam, Iraq or Afghanistan. The story is told in George Crile’s Charley Wilson’s War, which I recently read. The Soviet defeat was more crippling and demoralizing than the U.S. defeat in Vietnam, and Gorbachev, whose goal after all was to make the Communist system work, might not have sued for peace when he did if the Red Army had been victorious. Crile’s book shows that the impetus for arming the mujahideen came more from an odd coalition of liberal Democrats and conservative Republicans in Congress than from the Reagan administration, but Reagan sanctioned it, and so gets credit for the victory.